Everyone knows it, Europeans don’t mess about when it comes to Christmas shopping. For centuries before hygge started trending on Twitter, the old towns of Europe have been creating atmosphere, togetherness and an excuse to enjoy the little things in life at their wonderful Christmas markets. 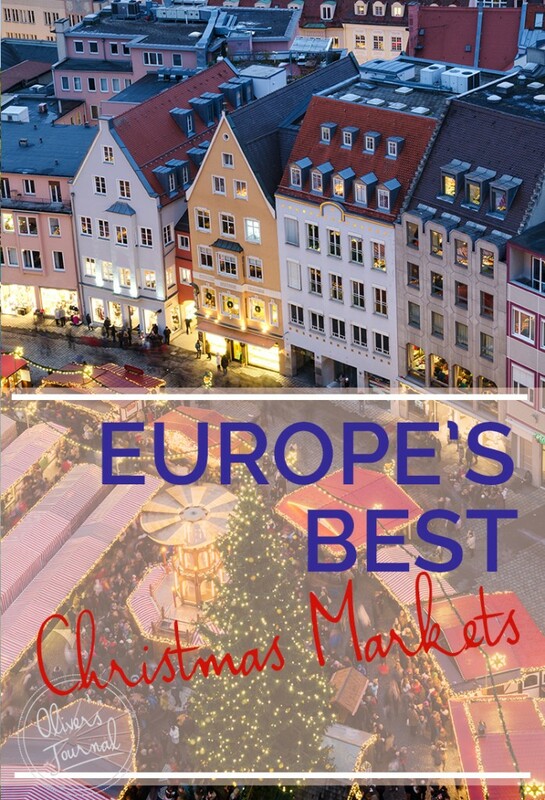 So if you’re planning a little winter getaway this year, or perhaps are heading home for the holidays and looking for the best place to get into the spirit with family – have a look at this guide to Europe’s best Christmas markets. Each country and every town celebrate in their own special ways, with the best foods, gifts and entertainment the locals have to offer. We can practically hear jingle-bells already! – Bath Christmas Market (22nd November – 9th December) is a local treasure where over eighty percent of the stallholders are native to the area and are selling all handmade gifts. Items range from toys and jewellery to Christmas treats, and there’s plenty of yummy food to munch on while you’re exploring the market. Let carollers provide the perfect background music as you wander at your own pace through this little winter wonderland. 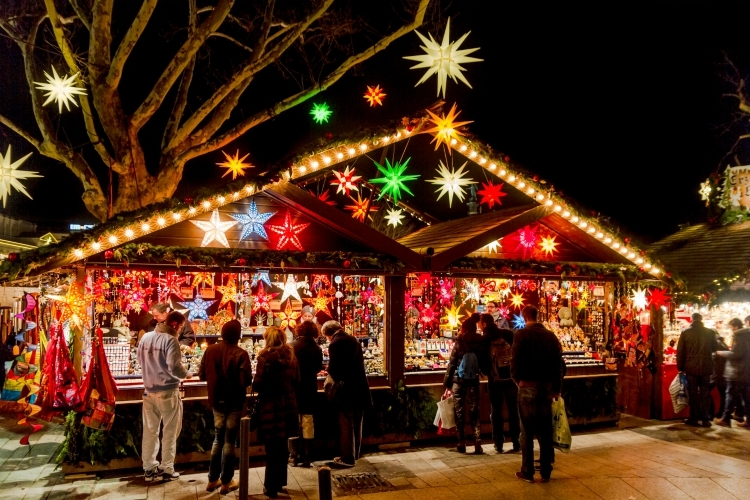 – Cardiff Christmas Market (9th November – 23 December) will take you meandering arm in arm with your loved ones through the lit up walking streets of the city centre as you browse all the goods on offer. You’ll be surrounded by arts and crafts as well as delicious seasonal food and drink all evening. What a wonderful opportunity to get that one-of-a-kind gift for your special person in what’s often called ‘Christmas city’ during this time of year. – Salisbury Christmas Market (29th November – 23rd December) completely transforms this medieval cathedral city with its German market-style festivities. 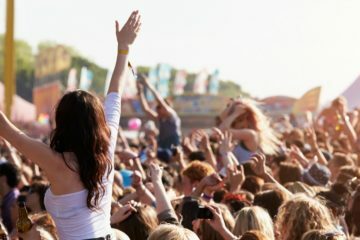 Taking place right at the central Guildhall Square – with the Guildhall providing the perfect backdrop for the event – there is food, shopping and lots of lovely live music and even special workshops to experience. If you’re lucky, you might also be able to spot some international exhibitors from Europe, the Middle East and Africa among the traditional mulled wine and gingerbread. 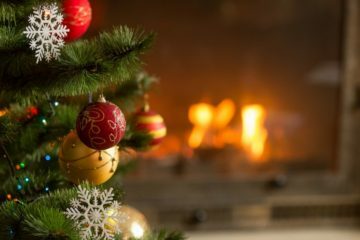 – Reims’ Christmas Village (24th November – 27th December) sets up with one hundred and thirty-five cheerful chalet stalls that house everything from gourmet regional produce to arts, crafts and Christmas decorations. Get in the festive spirit by revelling in the street entertainment, magicians tricks and Christmas concerts that surround the market. Just don’t forget to spend some time sampling the locally produced varieties of champagne and wine on offer – the experience really wouldn’t be the same without it. – Strasbourg’s Christmas Market (24th November – 30th December) dates back to the 1570’s, making it the oldest in France! The city has even been nicknamed the capital of Christmas. To get the most from your visit, start at the Place de la Cathedral and make your way through the historic city centre along the wooden stalls. You’ll find delicate ornaments, nativity figurines and regional delicacies like the bredele cookie, as well as cake and wine from throughout the Alsace region. 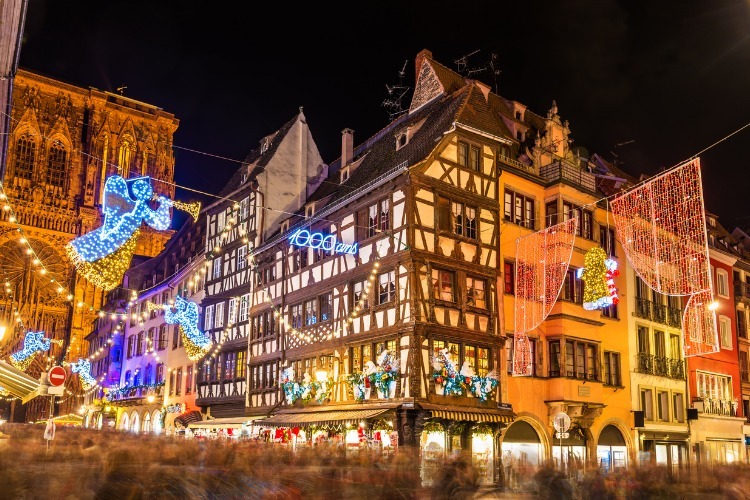 – The Magic of Christmas in Colmar (25th November – 6th January) is a bit more than just a Christmas market. While the whole of old town is lit up in twinkle lights, five separate islands of festivity set up all around it – each in their own picturesque square. This is the place to wander all around town and rediscover what it felt like to be a kid on Christmas – more magic around every single corner. One of the markets is even especially set up for children, with pony rides and a giant Santa’s letterbox. – Oh Bej! Oh Bej! in Milano (7th December – 10th December) translates to “Oh beautiful! Oh beautiful!” so as you might imagine, visitors are in for a real treat (hopefully of the candy cane kind). The festivities have marked the Milanese Christmas season for five whole centuries and remains the perfect event not only for finding special gifts but for enjoying the magical atmosphere of celebration and tradition. The market embraces local landmark Castello Sforzesco with its many truly unique food and shopping stalls. You never know what you’re going to find. – Candelara Festival of Lights (25th November – 10th December) is held in the tiny town of, you guessed it, Candelara, celebrating the wonderfully festive craft that gave the town its name: candlemaking. For a part of every evening during the time of the festival, all electrical lights are switched off, and the medieval town is lit entirely by thousands of live flames. At the market itself, children get to try their hand at making their own candles, and everyone can enjoy the street artists, delicious food and artisan crafts on offer. 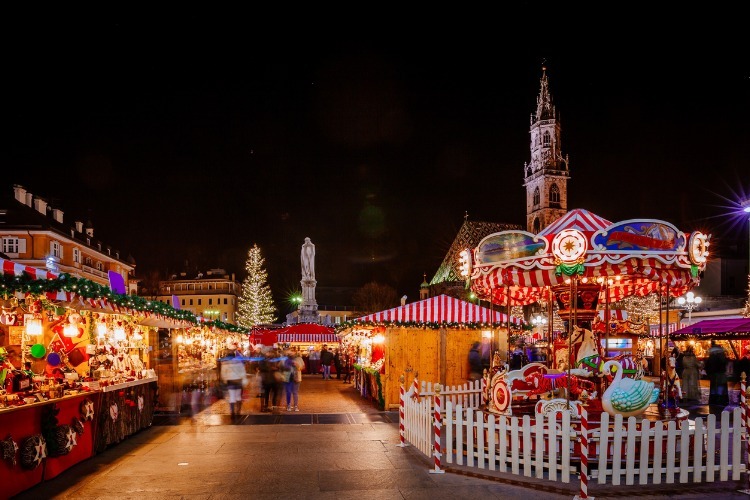 – Heidelberger Weihnachtsmarkt in Florence (November 28 to December 27) – yes, you read that right – is an unusual and wonderful combination of cultures as the German traditions town of Heidelberg come to town with its 500-year-old market. Selling hand-crafted goods and traditional German foods you are sure to find a special treat at the market on Piazza Santa Croce. Situated right outside the marvellous Basilica di Santa Croce there is plenty to enjoy. Why not a bratwurst and a beer, or traditional Heidelberg Lebkuchen cookies and a spiced vin brulè? – Plaza Mayor Christmas Market in Madrid (24th November – 31 December) decorates the beautiful square in abundance as people gather to shop and enjoy the festivities. The market stalls offer every traditional Christmas treat and trinket you could imagine. Children love looking at the toy-stalls as much as riding the popular carousel, and many independent artists open up shop at the market, so it’s the perfect opportunity to take away a truly unique, hand-crafted gift! – Fira de Santa Llucia in Barcelona (24th November – 23th December) has been taking place since the 1700’s and takes place on the picturesque Avinguda de la Catedral. Revel among unique artisan stalls, nativity figures, crafts, musical instruments and even flowers and greenery! Special for children, there are lots of activities running at the fira. But take your time and walk slowly among the stalls while the sun sets. 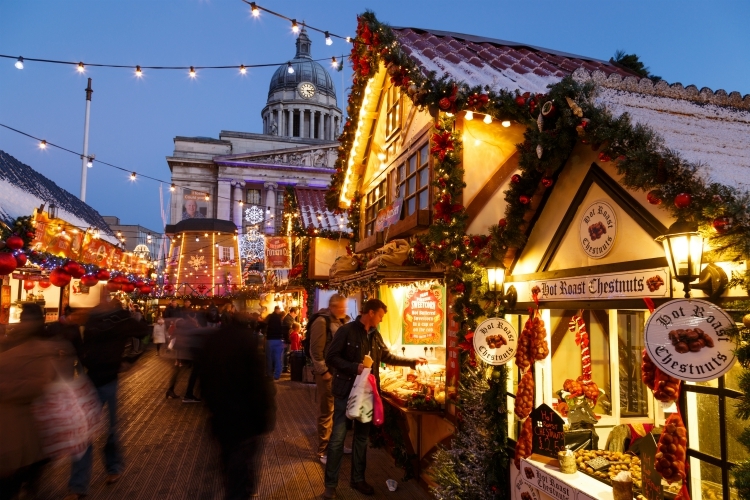 You’ll be able to see and feel the special Christmas atmosphere settle over the market. – Mercadillo Navideño in Zaragoza (2nd December – 7th January) is a little known but fantastic Christmas market on the city’s Plaza del Pilar. Beyond the traditional market stalls, it is complete with an ice-skating rink, a sledging ramp, and stages for musical performances. Your attention will undoubtedly be drawn to the massive nativity scene featuring over a hundred figurines. The market is organised by artisans and handcrafters themselves, so you’ll be able to pick up some very unique gifts. Just don’t forget to taste the delicious food while you’re at it! – Christmas Market at Gendarmenmarkt, Berlin (27th November – 31 December) is considered one of the most beautiful Christmas markets around, but more importantly, it is known for having some of the best gluehwein (that’s mulled wine to me and you). You’ll also be impressed by the vast selection of handmade artisan goods, Christmas food, and entertainment. Entrance to the market will cost you 1 euro, but it’s truly worth it to see Gendarmenmarkt, which is a wonderful square framed by two churches, when it is looking this festive. – Nuremberg Christkindlesmarkt (30th November – 24th December) is a grand event in the medieval city, whose opening ceremony attracts tourist from all over Europe each year. Nuremberg is famous for its gingerbread, so grab one for a snack or take a beautiful box home with you for a loved one. Another special event are the stagecoach tours going through the beautiful city which are accompanied by soft trumpet music. 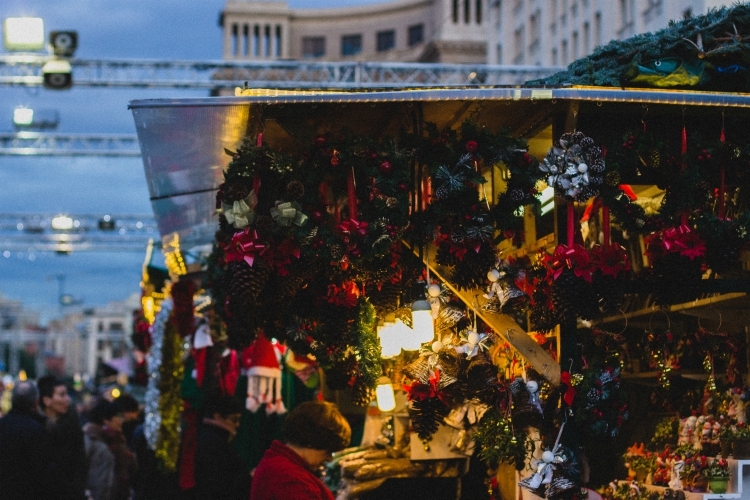 Christkindlesmarkt sure is an old-school one, and we can’t imagine a more Christmassy event. – Stuttgart Christmas Market (28th November – 23rd December) takes up five whole cobblestones squares creating not only one of the oldest but also one of the largest Christmas markets in the world. Apart from the three hundred stallholders, there is also top-class choirs and musicians performing each night in the courtyard of the Old Palace (where you’ll find one spectacular Christmas tree). Visitors from far and wide always have lots of fun at the outdoor skating rink and kids love riding the miniature steam railway. Are you feeling in the spirit yet? Good. 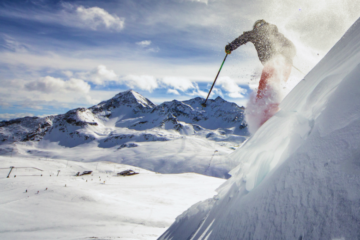 While you’re dreaming of mulled wine and artisan tree-toppers, go ahead and have a browse through Oliver’s Travels selection of luxury holiday villas and find the perfect accommodation for your upcoming winter break.